Finished Jun 2017. Final score: 3 / 5. This book was given to me, and I liked Scarlet. I read the previous books. This was a decent edition if you enjoyed the previous 2 books. The book Cress is on that particular tipping point where I finally understand enough of the book's lore that I can simply enjoy the storytelling. 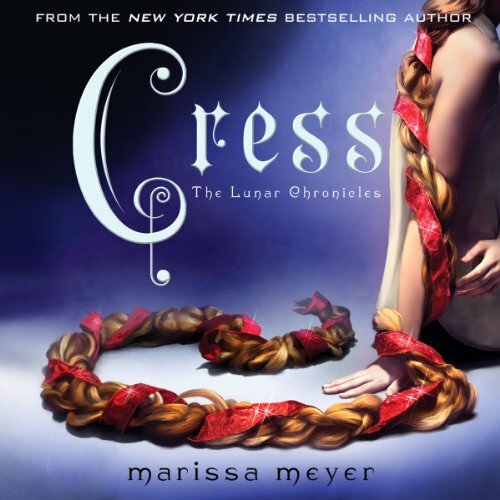 Marissa Meyer does a really good of fine-tuning Cress' personality of an extremely sheltered girl with a very strong crush and a strong desire to obey her moral compass. Unfortunately, there was not much growth to her character beyond that. Ever. There actually was not much growth in any of the characters. Sadly, if this entire book was dropped not much would be missed beyond a handful of plot points. Still, I enjoyed the storytelling. If you are not a fan by now, this book will be a slog. Discuss Cress (Book 3) in the forums.